I received some emails about getting rack time and so forth so I figured I would answer them in a post. Over at INE I have had tokens for probably about two years so I haven’t picked up any more over there in a long time. Plus I have a full hardware rack configured for their topology. For my IPexpert stuff I had to pick up some rack time to prep for the bootcamp. I did recently get some 2 for 1 deals from Mike Down. I am not sure if that deal is still current or he gave it to me because of my pretty looks 😉 Either way you can contact him over at mdown @ ipexpert.com to see if he still has the 2 for 1 shot. In September I am going to drive down to Columbus and sit IPX’s bootcamp. This should be a good time with some studying thrown in right 😉 ? Well after today it looks like a few people are confused as to what the Investment Protection Program (IPP) is designed to do. The IPP is designed to ensure you are covered in the event the product you purchased is ever updated. This is something Iâ€™ve always felt strongly about and is why we were the first to offer a protection program. For some reason a few people have made the assumption that the IPP covers you for any new products introduced in the same CCIE track your original product is in. This of course isnâ€™t the case. Todayâ€™s confusion is in regards to the new Audio Bootcamp ($595). A few previous customers who purchased the Audio Technologies Class ($99) wanted to use the IPP to get the new Audio Bootcamp but these are two entirely different products that target different parts of a candidateâ€™s preparation. The only similarity is that they are both for the R&S track and both are audio products but the similarities end there. The old Audio Technologies Class was aligned with the Advanced Technologies Class just like the new Audio Bootcamp is aligned with the 12-Day Bootcamp we offer. You canâ€™t listen to both of these and say the Audio Bootcamp that Scott Morris has done is just an updated version of the Audio Technologies Class that Brian McGahan did. Internetwork Expert Exclusive Investment Protection Program What Is The Deal? Notice the wording “new version.” I am still waiting on my official response to the new audio boot camp by Scott Morris, but word from a few different bloggers is that they were told the new 4.0 version is a new product and won’t be included in the current CCIE 2.0 program for existing owners. To me isn’t the 4.0 version an update to the 3.0 version that covers the changes to the new 4.0 lab blueprint? To me that seems like it contradicts the statement above about the investment program. Now until I get my offical response from INE sales I will wait this one out, but what is the point of the investment protection program? This isn’t the program idea I bought into my I purchased my end to end program. Your discount price for the new Audio Bootcamp is $346.50. This factors in a 30% discount which we are extending to all previous owners of our Audio Advanced Technologies Class. Note that the new AUdio Bootcamp is NOT simply a new version of this class (which is why it is not a free upgrade), but instead is an entirely new product aimed at developing in-depth technical knowledge and lab strategy. Really? I have to pay again to upgrade my CCIE 2.0 program? Not simply a new version, instead it is new product? What is the point again of an investment program if you are just going to update it and repackage it as a new product we have to pay for? I have upgraded my E2E program twice now out of pocket for totally new products added to it without having issues with that because they were new! This though is ridiculous to me. Investment protection just to pay $356.50? Even more reason to make sure I pass the current version. 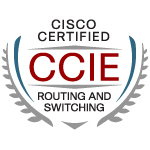 Hey guys!Â Yes, it’s true a CCIE Journey blog post from yours truly, Joe Astorino!Â I’ve been really busy getting adapted to my new job and writing technical blogs.Â Additionally, I have been learning a bit about IPT just for my own amusement.Â I always thought it would be pretty badass to have Cisco IP phones around the house.Â Well, I got my wish and I want to show you guys HOW I did it.Â Keep in mind, I am by no means any kind of voice guru (yet) but I was able to set this up with a relatively minimum amount of pain and suffering. Let’s get into the equipment:Â I have setup 4 Cisco IP phones.Â Each main room in my house has it’s own IP phone.Â I also took it upon myself to do all the cabling myself :)Â This required a trip to home depot to purchase RJ-45 crimpers, punch-down tool, 500Ft. CAT5e cabling, RJ-45 connectors, and wall-jacks.Â Whoever buys my house at some point may be a bit disappointed that there are no more phone jacks anywhere lol … oh well.Â My home router is a Cisco 3725 I have had running for a while.Â It runs 12.4 advanced enterprise…which I found out actually includes CallManager express 4.1.Â Wow, sweet!Â Now all I needed was phones.Â I could not have done this project without the amazing help of one of my students actually.Â In a recent bootcamp, I met a student who already had his CCIE voice but was going for R&S.Â He also happened to be a Cisco SE andÂ he very graciously sent me some phones to play with just for being a halfway decent guy!Â I have 2x 7941 and 2x 7961 to play with here.Â On the switch side, I am utilizing a 3550 24 port POE switch.Â Keep in mind, the 3550 was pre Cisco adapting to the 802.3AF POE standard and puts out the old proprietary Cisco POE.Â However, the phones will take either or so it is all good! The other SWEET part about this whole thing is that the traditional Telco is not involved at all.Â A good friend of mine knows a guy that essentially IS the phone company :)Â Yes, he runs his own phone company local to the area here.Â Because of that, he can provide me with a SIP trunk to access the outside world.Â No phone lines coming into my house…simply a SIP trunk to this phone company (at a very reasonable rate). OK simple enough…now we setup our DHCP pools for the various VLANs. Note the insertion of option 150 in the voice pool which points to my UNIX server running TFTP for the LAN.Â This is where we will store the phone software and configuration files. The next thing I did was go download the lates SCCP image for the 7941/7961 phones and figure out what the hell all the files were.Â In the end, I just dumped all the files in the root of my TFTP directory.Â I also learned that when the phones boot they will look for a config file named SEPmac-address-goes-here.Â I simply modified the default config file for 7941/7961 and changed a few things in it. Namely, the lines below.Â The loadinformation tag just points to the OS you want the phones to load. By running the command “create cnf-files” from the telephony-services config prompt, you create default xml config files.Â Inside of those, it references the CallManager IP address, in my case the sub-interface on my 3725 10.1.4.1. OK, so at this point the phones actually get power, boot up, load the image I told them to, and have a default configuration loaded up.Â Sweet.Â Too bad I can’t really do anything yet hehe. Lets get into the CallManager Express configurations. First, we setup some basic stuff that allows sip to sip calls. This rule here is for setting my caller-ID on outbound calls.Â My internal extensions are 101 – 104 at the moment..but I figure I won’t have more than 20 phones :)Â so this regular expression takes anything 101-119 and converts it to my real phone number.Â So, if Icall out to the PSTN from any phone, it will actually change the caller ID to my real phone number. translation-profiles are where we call our translation-rules and tell them what to do with them. Here we have our ephone-dn entries.Â An ephone-dn or “ethernet-phone directory number” is basically the IOS software equivalent of an extension. I configure an ephone-dn for each line that I want, including the outside line. Here are the ephone configs.Â an ephone is the actual physical phone configuration.Â The button mapping is important.Â button x:y says “for button x on the phone map it to line y”.Â So for instance here I have button 1:1 2:3 which says for line 1 map it to ephone-dn 1 (x101) and for button 2 map it to ephone-dn 3 (the outside line).Â I map the outside line to a button on every phone so when somebody calls my outside line all the phones ring.